ROUND TWO QUALIFYING ACTION FOR PALM BEACH KENNEL CLUB’S $20,000 BOB BALFE PUPPY STAKES SATURDAY AFTERNOON, APRIL 13! 8 QUALIFYING RACES FEATURING PALM BEACH KENNEL CLUB’S FASTEST YOUNGSTERS! West Palm Beach, Fl. - Round-two qualifying action for Palm Beach Kennel Club’s $20,000 Bob Balfe Puppy Stakes will be contested Saturday afternoon, April 13. In Race 2, two first-round winners will go muzzle-to-muzzle. 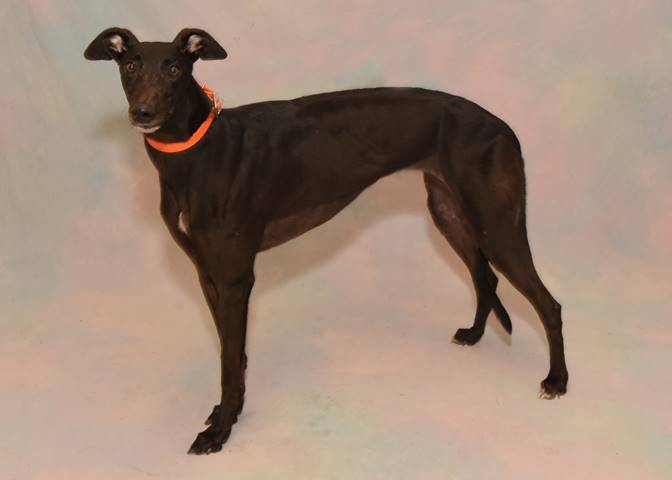 #3 JD Oxidizer (KC and All – JD Happy Tears, Brindle Kennel) will meet for the first time against #7 Spot Of Sparkle (Superior Panama – Spot On Classy, Lester Raines Kennel). There is some nice early speed in this event which could impede both athletes. It should be noted that JD Oxidizer ran the fastest time of all the Puppy Stakes entries in the first round, a career best 29.50 seconds. In Race 4, round-one victor #1 Pat C Zadar (Pat C Valdes – L’s Karla Clown, Koppe, Staats & Collins Kennel) drew a nice post position to use her early speed, but right on her tail could be the classy #3 Bartsgaslighting (Crown And Crest – Workhardplayhard, James Douglas Kennel). Race 6 also features a duo of round-one victors, the strictly rail-running #3 Pat C Vanry (Pat C Valdes – L’s Karla Clown, Koppe, Staats & Collins) and #4 Told Ya Donald (Seldom Told – Paul Walker, D. Q. Williams Kennel). Both are in good post positions to get loose, but you have to give the nod to Vanry. Race 8 highlights round-one winner #5 Bigger Cheese (Barcelona Boss – Kiowa Jill Boom, Rader Racing Kennel). The “Big Cheese” will be facing challenges coming at him from the left and right. Looks to be an exciting qualifier! No first-round winners in Race 10, but there is no doubt the big money will be placed on the two second-place finishers from the first round, the early speed duo of #6 Mister Red Rader (Flying Titanium – Rip N Runnin, B & B Racing Kennel) and #7 Barts Beast Mode (Deerfield Mover* - GV Tilda, James Douglas). There is no question who the post-time favorite will be in Race 12, the impressive youngster #1 Walking Fa (Seldom Told – Paul Walker, D. Q. Williams). Walking Fa has finished in the top two in all six of his career races. Race 14 features the strong-rushing first-round winner #2 Pat C Sly Cooper (Pat C Clement – Pat C Deception, Koppe, Staats & Collins). Possible challenges could come from the well-posted #1 Superior Candi (Last Outlaw – Superior Cinch, B & B Racing) and the impressive #5 Britney Eureton (Barcelona Boss – Miss Prissy, Rader Racing). Sly Cooper will be going for his fourth-consecutive victory. Second-round qualifying wraps up in Race 15 and all I have to say is #8 Bumper Cars Bob (Barcelona Boss – Miss Prissy, Rader Racing). Following Saturday afternoon’s second round of qualifying, the field will be trimmed to 32 entries. They will compete in round three on Wednesday afternoon, April 17, with the top 16 point-earners advancing to the semifinals Sunday afternoon, April 21. The 53rd running of the $20,000 Bob Balfe Puppy Stakes will take place Saturday afternoon, April 27.